Discover 730 square miles of something for everyone. The destination needs to meet lots of requirements: stuff for the kids, exciting entertainment for the grown-ups, plenty of good restaurants and affordable lodging. And it would be nice if the place was convenient. Luckily, there’s Lehigh Valley. Big enough to hold all the interests of your family and friends. Small enough to get around easily. 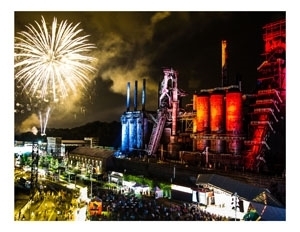 Lehigh Valley, a great place to visit, live, work, and play. Includes Cities/Towns: Alburtis, Allentown, Aquashicola, Bally, Bangor, Barto, Bath, Bechtelsville, Bedminster, Bethlehem, Blooming Glen, Bloomsbury, Bowers, Bowmanstown, Breinigsville, Catasauqua, Center Valley, Cherryville, Coopersburg, Coplay, Danielsville, Durham, East Greenville, East Texas, Easton, Emmaus, Ferndale, Fogelsville, Germansville, Gilbert, Green Lane, Harleysville, Hatfield, Hellertown, Hereford, Jim Thorpe, Kempton, Kintnersville, Kresgeville, Kunkletown, Kutztown, Lansdale, Laurys Station, Lehigh Valley, Lehighton, Limeport, Little York, Lyon Station, Macungie, Martins Creek, Maxatawny, Mertztown, Milford, Milford Square, Nazareth, Neffs, New Tripoli, Northampton, Old Zionsville, Orefield, Ottsville, Palm, Palmerton, Parryville, Pen Argyl, Pennsburg, Perkasie, Phillipsburg, Quakertown, Red Hill, Revere, Richlandtown, Riegelsville, Saylorsburg, Schnecksville, Sellersville, Slatedale, Slatington, Souderton, Spinnerstown, Springtown, Stewartsville, Stockertown, Tatamy, Telford, Topton, Treichlers, Trexlertown, Trumbauersville, Tylersport, Upper Black Eddy, Walnutport, Whitehall, Wind Gap, Zionhill, Zionsville. Jan 18.6 F° 27.7 F° 36.9 F° 3.3 "
Feb 20.9 F° 30.7 F° 40.4 F° 2.8 "
Mar 28.1 F° 38.8 F° 49.4 F° 3.6 "
Apr 37.7 F° 49.5 F° 61.3 F° 3.8 "
May 47.4 F° 59.6 F° 71.8 F° 4.4 "
Jun 57.1 F° 68.6 F° 80.1 F° 4.2 "
Jul 61.8 F° 73.3 F° 84.7 F° 4.9 "
Aug 59.9 F° 71.2 F° 82.5 F° 4.0 "
Sep 52.0 F° 63.8 F° 75.6 F° 4.6 "
Oct 40.1 F° 52.2 F° 64.2 F° 4.2 "
Nov 32.2 F° 42.8 F° 53.3 F° 3.7 "
Dec 23.4 F° 32.5 F° 41.5 F° 3.7 "
Spring temperatures are cold with averages in the upper 40's and highs in the low 60's. Nights are cold with lows in the upper 30's. Summer temperatures are mild with averages in the low 70's and highs in the low 80's. Nights are cool with lows in the upper 50's. Fall temperatures are cool with averages in the low 50's and highs in the mid 60's. Nights are cold with lows in the low 40's. Winter temperatures are cold with averages in the low 30's and highs in the upper 30's. Nights are cold with lows in the low 20's.